Trainer Brent Stanley will send The August and Casadiva to Caulfield to begin their 3YO campaigns. 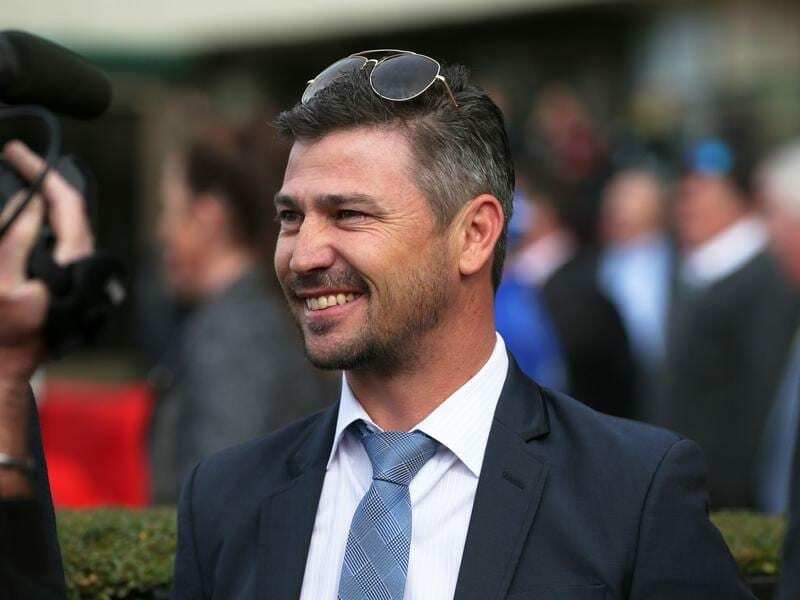 Brent Stanley is excited about his stable’s spring prospects as he prepares a couple of his main carnival hopefuls for their scheduled returns in stakes races at Caulfield. Stanley has unbeaten colt The August resuming in Saturday’s Group Three Vain Stakes (1100m) while Casadiva is scheduled to return in the Group Three Quezette Stakes (1100m) for fillies. The trainer is saving Moonee Valley debut winner Mig Energy for the McKenzie Stakes the following week. Stanley is optimistic about Casadiva and The August and while he is excited to see them step out again he is keeping first-up expectations in check because he says they are being trained to peak around Guineas time in October. “For me it’s exciting this spring,” Stanley said. The August won the Donald Classic on debut in May before winning at Flemington in June. Casadiva won on debut at Bendigo, beating Aristocratic Miss and Krone, before finishing 10th in the Sweet Embrace Stakes in Sydney. Stanley said the filly choked down that day. “They are both far from revved up to go first-up,” Stanely said. “I just want them to be nice and relaxed in amongst the field and hit the line. They’ll be getting tired late because they’re not revved up and have a lot of improvement. I want them peaking at their third, fourth and fifth run. Stanley said The August was pretty smart and had done everything right. “He’s come back better. He’s a lot stronger and he’s a very mature horse,” he said. Casadiva is 23rd of 25 in the ballot for the Quezette Stakes with a maximum of 16 to run. Stanley rates Casadiva potentially the best horse in his stable. “On what we’ve seen – they’ve obviously got to turn up on race day – but she’s got untapped ability,” he said. “The August is quite good and so is Mig Energy and she toys with them when we work them together, so she’s really exciting.